Knowledge sharing platform Quora announced today the launch of Quora Ads Sales in India and appointed Httpool as its exclusive ad sales partner expanding advertising support to marketers in India. 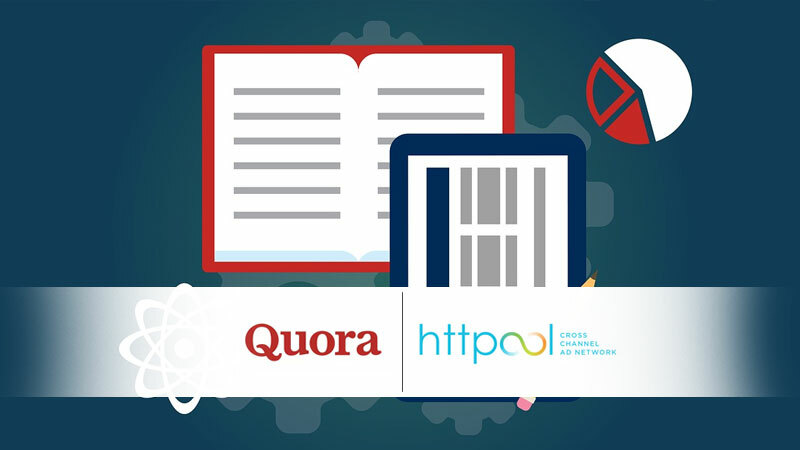 Through this partnership with Httpool, brands and advertising agencies across the country can now work closely with the experienced team at Httpool to leverage Quora Ads solutions to amplify their marketing objectives. Quora’s mission is to share and grow the world’s knowledge. Launched in English in 2010, the platform has grown to reach more than 200 million unique visitors per month from around the world. Many of Quora’s visitors are outside the United States, including many people from India. Since its launch, Quora has attracted leading personalities and experts who have answered all kinds of questions, and shared knowledge that wasn’t available before. People like former US President Barack Obama, Indian Railway Minister Piyush Goyal, Flipkart Co-Founder Sachin Bansal, Wikipedia founder Jimmy Wales, and social sector expert Smarinita Shetty are just a few examples. The Quora Ads platform has been publicly available for a little more than a year and the platform has rapidly expanded with new products and targeting features. Quora offers a high value, highly engaged audience, giving marketers an effective new channel to reach their target customers. With more than 1,000 active advertisers on the platform, Quora Ads is quickly becoming a high priority initiative for all marketers. Quora’sself serveAds Manager is easy to use and efficiently allows marketers to reach their target audience at key moments as they research topics and products before purchase. “With the launch of Quora ads sales in India, the platform will open avenues for brands and advertising agencies to reach a really high-intent, highly engaged group of users before they’ve committed to a specific product and made a decision”, said Sunny Nagpal, Co-Founder and Managing Director Httpool APAC. Over the past 12 months, Httpool India has executed 3200+ campaigns from 350+ brands, supporting all major agencies partnering with select global and local publishers, and deploying most sophisticated proprietary ad technologies. Httpool India, launched in 2010, with its offices in Mumbai, Delhi and Bangalore is a part of Httpool Group operating in 24 markets across Europe and Asia. Httpool was recently acquired by Internet Media Services (IMS), a subsidiary of Sony Pictures Television Networks and one of largest ad sales and media buying companies in Latin America.